I know, it’s been an inordinately long time since I posted, again. Well, I’ve been busy with stuff, including possibly starting a tea and coffee shop! Which would be cool, but, wouldn’t you know it, it’s stressful. Anyway, here’s today’s review. Really not sure what this one is, the description just said “kidney”. My best bet is that it’s supposed to be good for your kidneys, though I think pretty much all tea is. The cake was packed very densely. I usually try to break it in half before putting it in my French press or tea pot, but I couldn’t with this one. 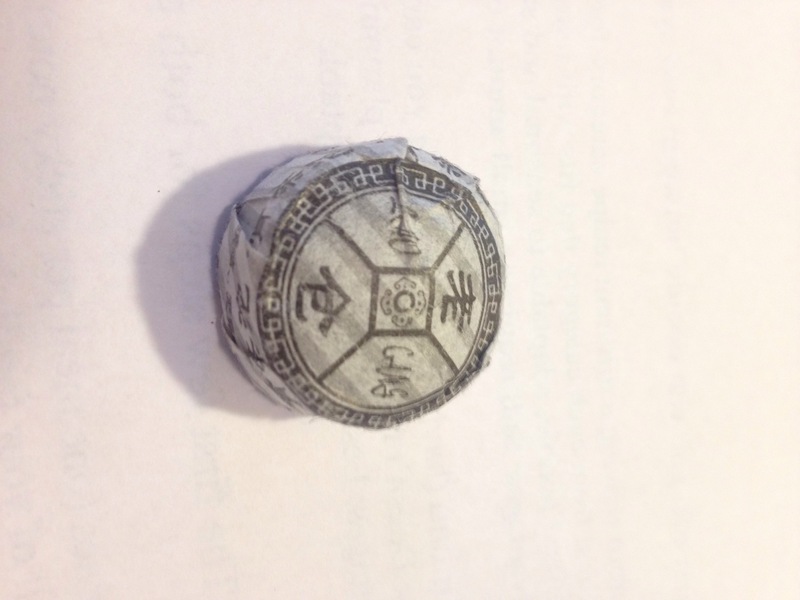 A very strong puer flavor with this one. And, oddly enough for puer, a decent bit of tannins once it had steeped for a while. Most times I have puer I can let it steep for hours without any bitterness, but this one got a little bit of a bite after ~45 minutes. Only a little, though, the puer flavor is definitely the predominant one at play here. It also got super dark. Coffee-dark. 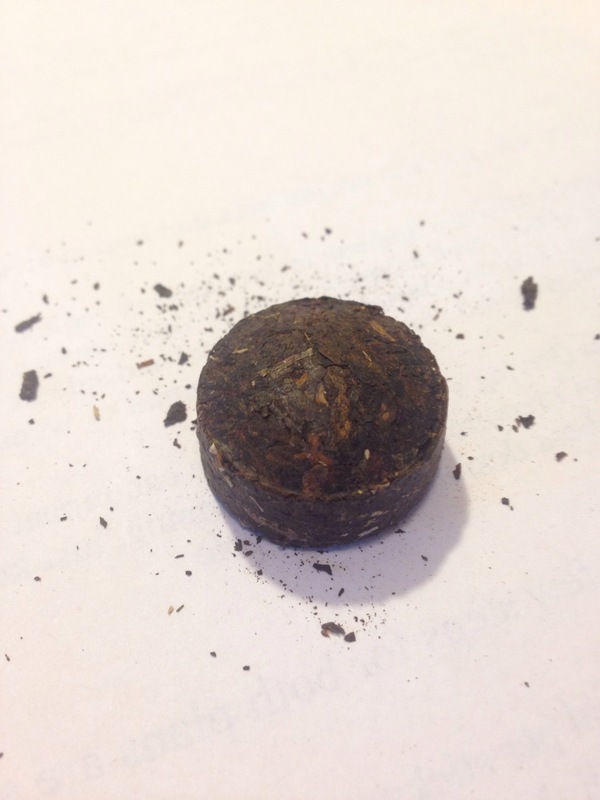 There’s also a very noticeably thick mouthfeel, more than I’m used to with this kind of puer. Still great, though. 17 Feb	This entry was published on February 17, 2016 at 4:23 pm. It’s filed under Brewing, Drink, Tea, Uncategorized and tagged andrew vochman, drink, food, introduction of heat, kidney, puer, tea. Bookmark the permalink. Follow any comments here with the RSS feed for this post.